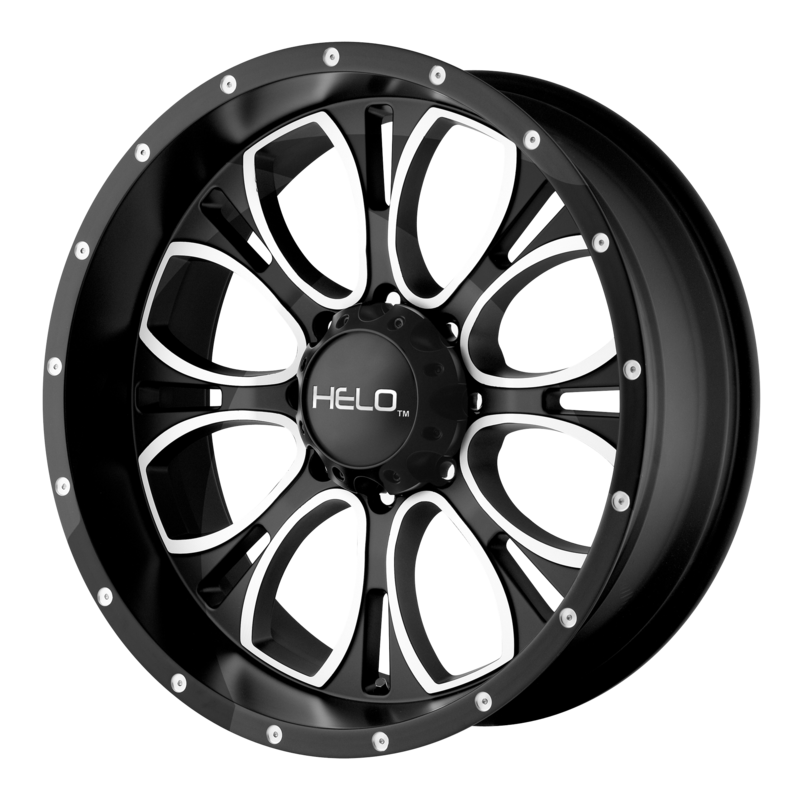 At All Star Motorsports, you can buy the Helo HE879 Gloss Black Machined & Milled 20x9 -12 Offset 125.5 Centerbore 4.53 Backspacing w/Part No. HE87929087312N at some of the lowest prices. These wheels are well built wheels and are made to fit your vehicle. Clean styling and quality design make for a powerful presence when riding in style. Express yourself with the right set of wheels for your ride. Be the envy of others as they watch you roll down the street in your new set of wheels. Performance plus quality and style is the ultimate expression that makes you stand above crowd.